Upper left. With Rick Harnish, executive director of the Midwest High Speed Rail Association. Upper center. 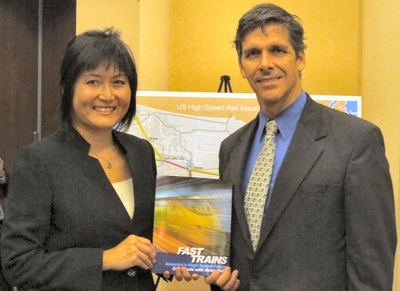 With Jeff Morales, the Chief Executive Officer of the California High-Speed Rail Authority. ​Upper right. With Rod Diridon, former executive director of the Mineta Transportation Institute. 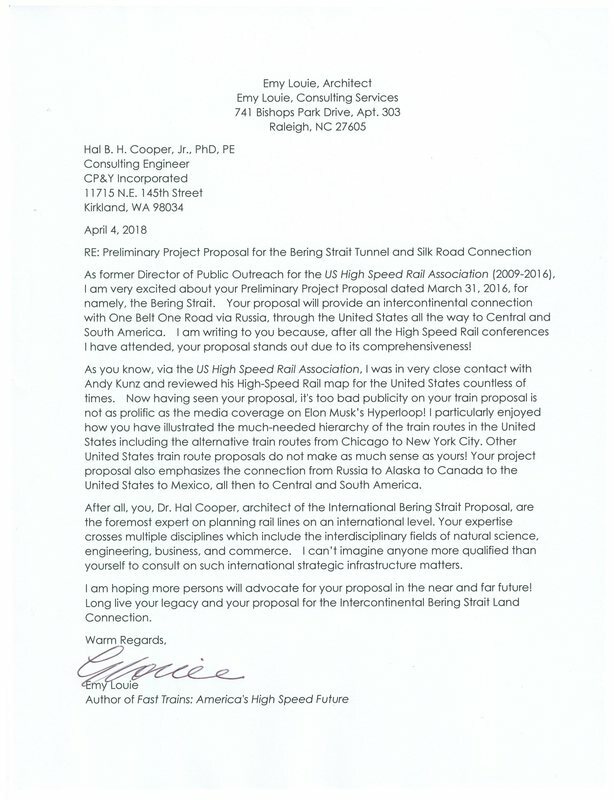 the complexity of travel into easily understood scenes." 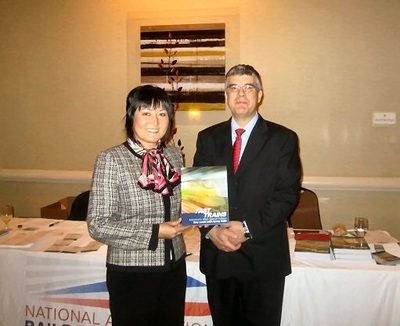 "Emy has a passionate mind for transportation and marketing. 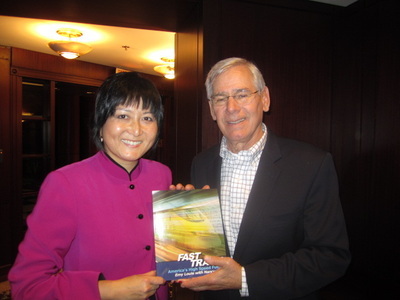 She is a great storyteller and did a great job of conveying why all Americans would benefit from high-speed rail in her Fast Trains book."